If you've happened to visit Pinterest in the last five years or so, you have no doubt seen a recipe or 10 for some iteration of three-ingredient, no-knead bread. These recipes are popular for good reason. Not only are these loaves extremely impressive for the amount of work they demand, they are excellent vehicles for any odds and ends you wish to rid your fridge of, from a handful of cheese to lonely fruits and vegetables. Christmas bread is a beloved tradition in my family. My mum’s been making striezel—a sweet, yeasted bread from Austria—for friends and family for as long as I can remember, and everyone who gets a loaf eagerly anticipates their yearly delivery. In many ways, bread is the anti-cookie: it’s still a festive, extra-special handmade gift, but it can form the base of an actual meal. (I make truly obscene breakfast sandwiches with mine, like highfalutin McGriddles.) And if you make an enriched dough, which you should, it still feels appropriately indulgent. Enriched doughs have a reputation for being overly tricky, but I think they’re perfect for bread newbies. Fat—in the form of milk, butter, eggs, and/or oil—lends a plush texture to the finished product, but it also makes the dough itself pretty forgiving. This is because fat slows down both gluten formation and the rising process, which makes the dough harder to over-work or over-proof. 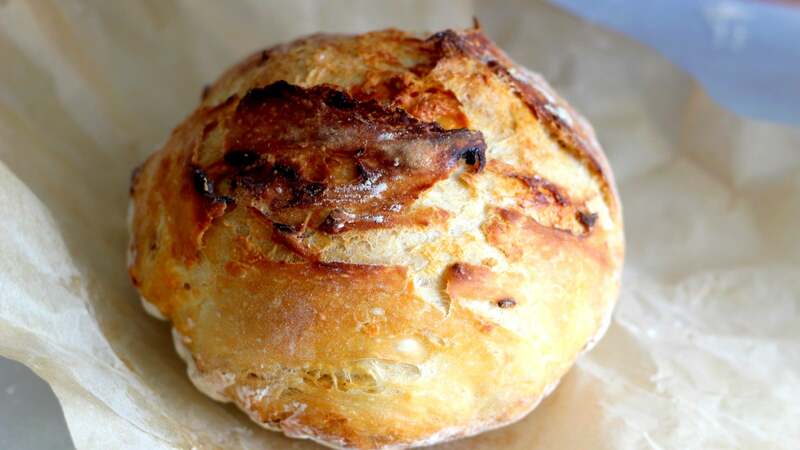 Best of all, enriched doughs take extremely well to a no-knead preparation, so you don’t even need a stand mixer. Just stir the ingredients thoroughly and rest for a couple hours at room temperature, gently kneading or folding the dough right in the bowl every 30 minutes. Warm up your liquid ingredients before mixing. Somewhere between 37º-43ºc is the perfect temperature for active dry and instant yeast alike, and will help get the rise started, especially if it’s cold as balls in your kitchen. Once the dough’s risen, punch it down and transfer to the fridge. A long, cold proof develops more flavour and ensures the dough is fully relaxed and hydrated. Overnight is great, but you can leave it in there for up to three days. Shape the dough while it’s still cold. It’s so much easier to work with straight from the fridge, especially if you’re doing any braids or twists. Always do a second rise. Preheat your oven, transfer the formed loaves to a warm spot, cover loosely with plastic, and let them rise until nearly doubled again. Double-wrap baked loaves. A tight layer of plastic wrap followed by heavy-duty foil will keep most loaves fresh for the better part of a week. 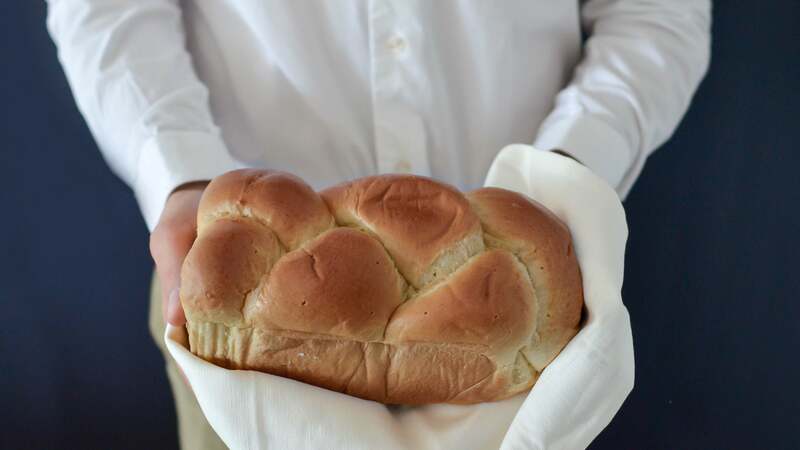 If you’re new to bread, start with challah. You’ll feel like a golden god when you pull your first bronzed, braided loaf from the oven, and it’s dead simple to work with. Smitten Kitchen has three fabulous challah recipes, including a no-frills classic and a fancy fig-and-olive-oil version, and you can’t go wrong with any of them. Try a brioche or babka for a bigger challenge, or peruse this list of traditional Christmas breads from around the world. No matter what, don’t be afraid to dream big — the only limit is the size of your mixing bowl.